If you’re planning your next trip to Maui, you might be overwhelmed with all the tour choices available! 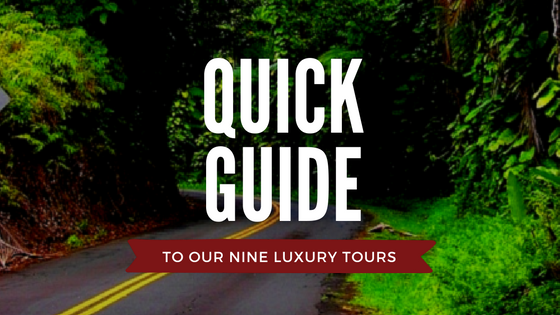 Once you’ve decided to travel with Temptation Tours—because, let’s face it, you know you want to travel in a Luxury Limo-Van, led by a Hawaii-Certified Tour Guide, in an intimate, small-group setting—you might have a hard time choosing between our nine different Luxury tours! Not to worry—a great first step is right here: a handy guide with the basics of each tour, boiled down to a short-and-sweet description. Click on the tour names for more details, once you find one that catches your eye! Hana Sky-Trek – Our half-day adventure between Kahului and Hana that travels one way by Limo-Van and one way by state-of-the-art helicopter. Haleakala Sun-Trek – A stunning flight above Haleakala crater, a visit to a hip breakfast spot, and a tour of upcountry’s most unique culinary attractions. Hana Picnic – A fun and relaxing drive on the Road to Hana and back, including stops for swimming and a beach-side picnic lunch. Hana Cave-Quest – A full-day Road to Hana adventure, including a one-hour tour of Hana’s hidden gem: the underground caves of Ka’eleku Caverns. Summit Lavender Sojourn – A fun trip to Haleakala, Maui’s famous lavender farm, winery, and more! Haleakala Sunrise – An early-morning trip to Haleakala for the unforgettable sunrise, followed by a hearty, run-of-the-menu upcountry breakfast. Crater & Rainforest – Enjoy the best of both worlds with this full-day tour that includes a trip to Haleakala and a journey into the rainforest, halfway to Hana. Hana Ultimate – The ultimate Road to Hana adventure includes a full-day Road to Hana tour with stops for both breakfast and lunch at two of Maui’s most unique dining locations. Private Charter – Your tour, your Maui, your way. 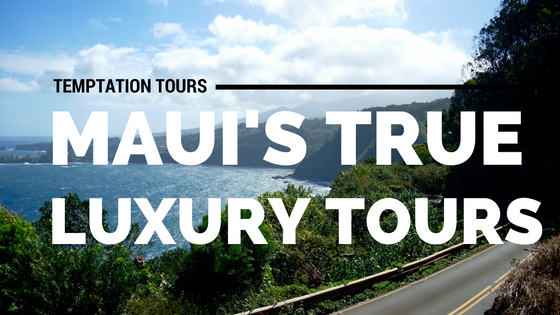 Call us to start planning your exclusive Maui tour! Have even more questions? Give us a call, or send us an email! A reservations agent will assist you in choosing, scheduling, and confirming your unforgettable Luxury Maui adventure! There are plenty of options when touring the natural attractions found on Maui. When you’re looking for a truly luxury, relaxing, and worry-free adventure, though, Temptation Tours is your answer. What does “luxury” mean for us? Read on! From the time you pick up the phone, or type us an email, a dedicated reservationist handles each and every question or concern personally, even before you book your tour. Each guest receives a personal confirmation reminder call the day before their tour by a Maui-based reservationist with final departure time, and to assist with any last-minute questions before an exciting tour! Do you have something more special in mind than one of our pre-scheduled tours? Please call us, and a reservationist will assist you in creating the perfect tour for your time on Maui. For all of our land-based tours, you’ll be picked up conveniently at your hotel, condo, resort, or private residences, in most cases right outside your front lobby. Wherever you’re staying, just let us know, and we’ll do our best to get right to your front door for both pick-up and return. Here’s where you’ll really start to feel like a VIP: step into one of our Luxury Limo-Vans. With luxurious leather captain’s chairs for each guest, as well as panoramic windows, high roof (for easy maneuvering in and out), and elegantly appointed cup-holders on board, you’ll be traveling in comfort and style on the Road to Hana and upcountry to Hana and Haleakala. No cramped, vinyl seats, and everyone gets a stellar view of the surrounding tropical beauty. Furthermore, your group will consist of no more than eight guests, making for a comfortable, small group experience. Your Hawaii-Certified Tour Guide isn’t just there to drive you around and tell a few cheesy jokes! Your Tour Guide provides high-quality, accurate narration during every moment of your tour, and will customize his or her narration to suit the interests of the group. Plant lovers? Look no further than your Tour Guide to point out the endemic and indigenous plant species to be found on the Valley Isle. Armchair historian? Your Tour Guide will explain how Hawaii’s fascinating historical events tie in to what you’re seeing on tour. World traveler? While traversing Maui’s rainforest or cool upcountry, your Tour Guide will point out the similarities between our unique micro-climates and those around the planet. When you tour with Temptation Tours, you’ll find luxury in every aspect of your adventure. If a top-notch experience is your priority, let us know, and we’ll take care of the rest! Every day, we take our guests around Maui to see the incredible natural sights and beautiful scenery on the Road to Hana, atop Mt. Haleakala, and beyond. 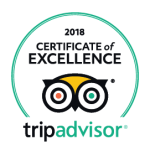 Our Hawaii-Certified Tour Guides are committed to providing entertaining, engaging, and accurate narration throughout our tours, leaving guests with a newfound knowledge of Maui, and the Hawaiian Islands in general. Brochures and other printed material are printed right here in Hawaii. Food and drinks served on tour—including our bottled water—are locally-produced whenever possible. We include locally-owned-and-operated restaurants and vendors—such as Surfing Goat Dairy, Coconut Glen’s Ice Cream, and Hana Tropicals—during our tours—read more about our local vendors here! Our reservations offices are located in the heart of Central Maui. 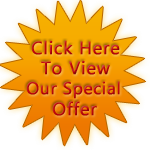 Our online-booking system was designed and is maintained locally in Hawaii. Temptation Tours’ operations are fully licensed and registered with the State of Hawaii. 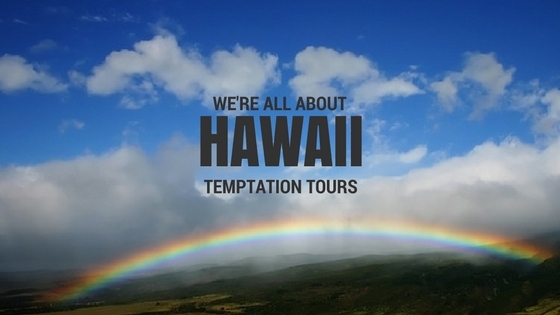 Of course, this isn’t all the ways that Temptation Tours supports Hawaii! Your Hawaii-Certified Tour Guide will be happy to share even more with you during your tour. Remember to choose local when booking your next Maui adventure!